The Sony Computer Entertainment of America CEO said that the earthquake in Japan has disrupted its supply chains. 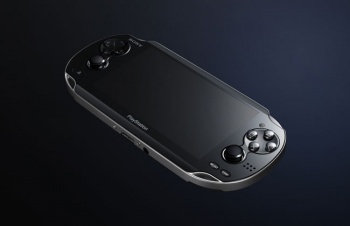 Sony hadn't yet announced a release date for the handheld codenamed the NGP - colloquially known as the PlayStation Portable 2 - but many assumed it would drop in 2011 before Nintendo's 3DS had even more of a kung fu grip on the global handheld market. Unfortunately, yet another consequence of the 9.0 magnitude earthquake that struck off the coast of Japan on March 11th is that Sony is not sure that it will be able to produce enough of the handhelds to launch globally this year. Jack Tretton, President of SCEA, said that the NGP may only come out in one region for the holiday shopping season. "It raises the bar on the competitive issues that Sony is going to have to hurdle," said Edward Woo, an analyst from the same firm as Michael Pachter - Wedbush Securities. "As it is now, it's already going to be almost eight months behind Nintendo, and a delay could push that to a year." Despite claims that the 3DS was facing a disproportionate number of returns in the UK and a lackluster launch event in NYC, Nintendo's fancy handheld appears to be selling well. I'm not sure that releasing the NGP now or later would make that much of a difference, honestly. Still, the troubles for Japan due to the earthquake and its aftermath are not deniable. The Western gaming industry tried to show its support for everything that Japanese games taught us with a documentary called Gamers Heart Japan to encourage everyone to donate to the relief effort there. If you can, check it out to see Peter Molyneux, Sid Meier and even Escapist's Susan Arendt, Newton Grant and I talk about what Japan has given us.